Customize our Large Engraved Ceramic Bowl for your favorite hostess, party or pet! In your choice of black, red, or blue, each large bowl has a flat square shape with a white interior. 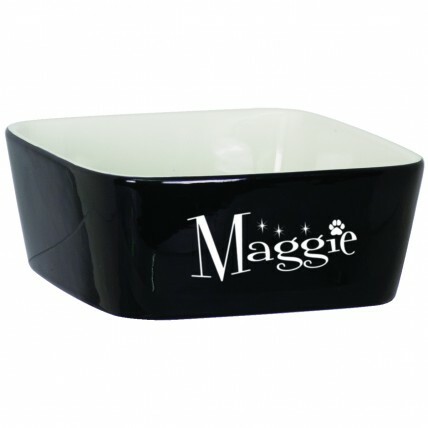 Price includes 3 lines of engraving in bright white. Measures 7" wide by 7" deep by 2 3/4" tall.